I think vacations are supposed to be relaxing, but so often we fill them with sightseeing, and eating out, and playing the role of tourist that we miss out on recharging our batteries and return even more tired than when we left. One of my friends and I were talking about how we just wanted to get away for a weekend and work on our writing and goal setting and just find some clarity. She said, "Let's do it!" and so, over breakfast at one of the local restaurants on Saturday, we booked an AirBNB that's only about an hour from where we live for the following weekend. 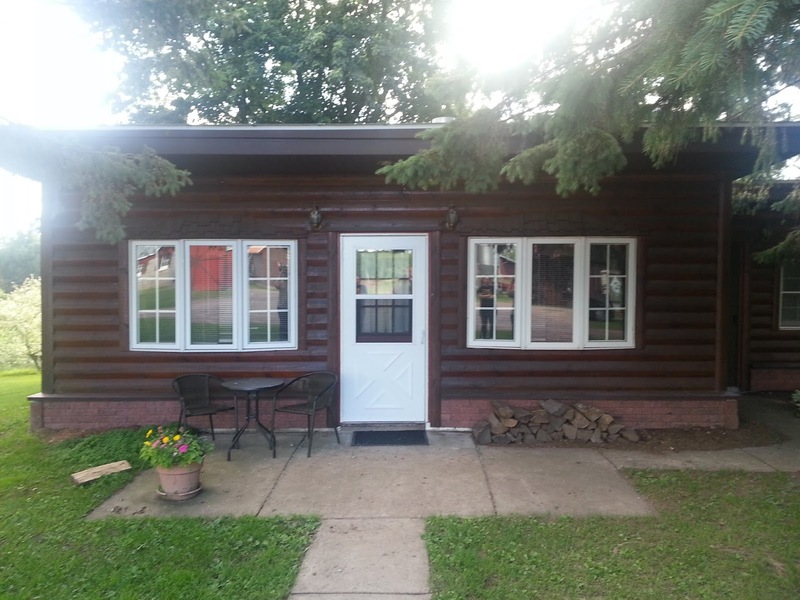 It was a cute little cabin on a farm, complete with two bedrooms, two bathrooms, a sauna, and a little kitchenette. We loaded up on groceries, books, planners, and laptops and struck out Friday afternoon, after I was done with work. Our hosts were great and we had a great time just relaxing and recharging. I went through a lot of blogging and personal planning, made a lot of lists, read and snacked on apples and cashew butter a lot. We sat in the sauna both nights and just enjoyed have limited cell phone reception. I wouldn't be surprised at all if I ended up there again this winter. It was close enough to home that we didn't have to spend a day traveling, the price was reasonable, especially when you split it with a friend, the weather was beautiful, and it was so nice to just lounge in sweats and not worry about makeup or laundry or grocery shopping for the week to come or anything else. I came back feeling so relaxed and still had energy to clean my house Sunday afternoon. Do you have a favorite spot to get away and just relax? This sounds wonderful! What a great weekend get away.